It has been eight years since Tim Stracke and his fellow investors bought a little known ecommerce business called Chrono24 from a couple of fellow technology wonks. 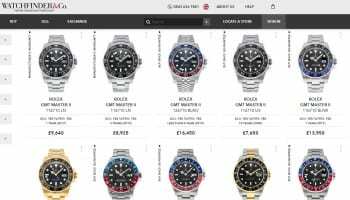 Now the online marketplace welcomes more than 7 million unique visitors per month and is on track to sell luxury watches worth €1.2 billion this year. Having given Chrono24 the cold shoulder for years, CEOs of the world’s biggest watch brands are now beating a path to the German company’s door, and looking for ways to work together with the disruptor. WatchPro’s Rob Corder wanted to know more, so headed over to Karlsruhe in Germany to find out from co-CEO Mr Stracke which way he plans to move next. WatchPro: Can you give me a quick history of Chrono24 and details of your management team and investors? Tim Stracke: Chrono24 was established in 2003 and was run by two guys as a side business. In 2009 we faced a choice of whether we should compete with Chrono24 or buy them out. The company at the time was not even a legal entity; it had an out-of-date web design; it was a bad website. 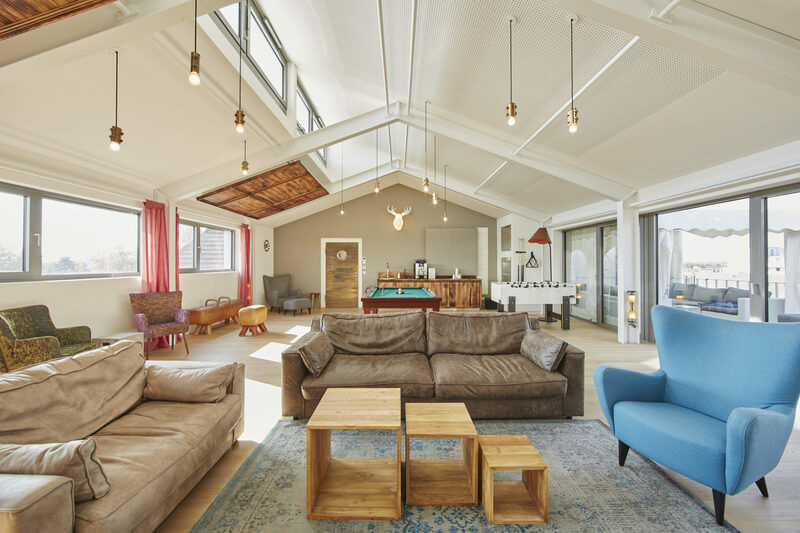 But when we met the owners and looked at the numbers, we were deeply impressed. We were amazed that a business that was not really doing anything special could already have such a massive global audience. Compared to what we do today, it was small, but already in a market leading position among true watch lovers. And, since marketplaces are usually “winner-takes-it-all” businesses, we decided to buy them out even though it seemed back then that we had to overpay for it. From there we turned Chrono24 from a website into a company. That was 2010, and less than 10 years later Chrono24 has close to 200 employees, we are headquartered here in a beautiful castle in Karlsruhe, Southwest Germany, and have offices in Berlin, Hong Kong and New York to service Asian and US markets. Today, one out of every three watch lovers worldwide uses Chrono24. The total purchasing power of our users is about a third of the overall global market. My business partners and I have long term experience in online marketplaces, and we have always liked watches. Our CTO Michael Krkoska is actually a deep fan of pocket watches, while Dirk Schwartz and I have a great love for mechanical wrist watches and online marketplaces. The three of us had a marketplace business before, and it was an obvious next step for us to go into new and pre-owned or, as we often say, pre-loved luxury watches. When we started with Chrono24, many industries had already shifted online but not the watch industry. Two years ago, Holger Felgner, previous CEO of TeamViewer, one of the few German unicorn businesses, joined the team. Holger has already a quite impressive collection of Speedmaster watches. Our main shareholder is Insight Venture Partners from New York, a private equity and venture capital firm with $23 billion of assets under management, and our portfolio manager is a collector himself as well. 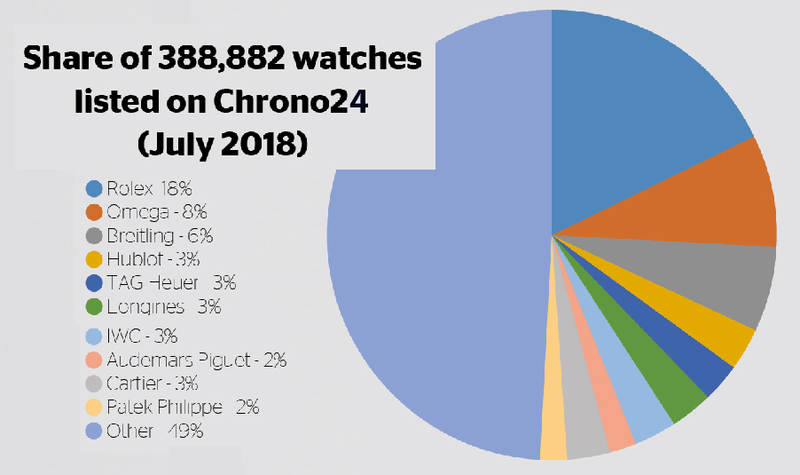 WP: What do you mean when you say one in three watch lovers ‘uses’ Chrono24? Tim Stracke: With using, I mean visiting our platform – to search, sell, buy watches, research prices and price developments, learning about our services, checking specific offers on watches they have on their list or reading articles in our magazine. Depending a little bit on the month, it is around 12 million visits every month right now. Unique users is a little bit less, around 7-8 million per month. Of course, not all of them buy a watch but the transaction volume that is being generated has also been growing significantly. This year we are on track to do around €1.2 billion in transactions through Chrono24, 20% more than a year before. That is a massive volume, which attracts more and more sellers to the platform. Today, we have 2500 professional sellers from around 100 different countries. We also have close to 10,000 private sellers at any given time offering watches through Chrono24. WP: That is extraordinary reach and transaction volume. Where do you go from this point? Tim Stracke: Long term, we have the aim to be in contact with every single watch lover on the planet. We also want to know every single watch on the planet; not only the watches that are being offered on the platform, but also the ones that people have in their collections. A year ago, we started offering a feature on our website so that people could upload their collection and tell us what they have, since when they have owned them and what they paid for them. Then you can track your collection’s value over time. That does not mean the watches are for sale, but it is a way for people to get daily estimates of their collection and manage their current collection. A lot of people have been doing that, which helps us to better understand our users and make very personalised recommendations. We want to bring all these people together and help them to connect and make trustful transactions; to buy and sell their watches – making both sides of the market happier than before. WP: The size and potential of the secondary market is only now being analysed, understood and talked about at both a dealer level and manufacturer level. It used to be seen as a dark and shady part of the market, but it appears the Swiss manufacturers now realise the scale of the opportunity and the danger of ignoring it or making ineffectual attacks on it. 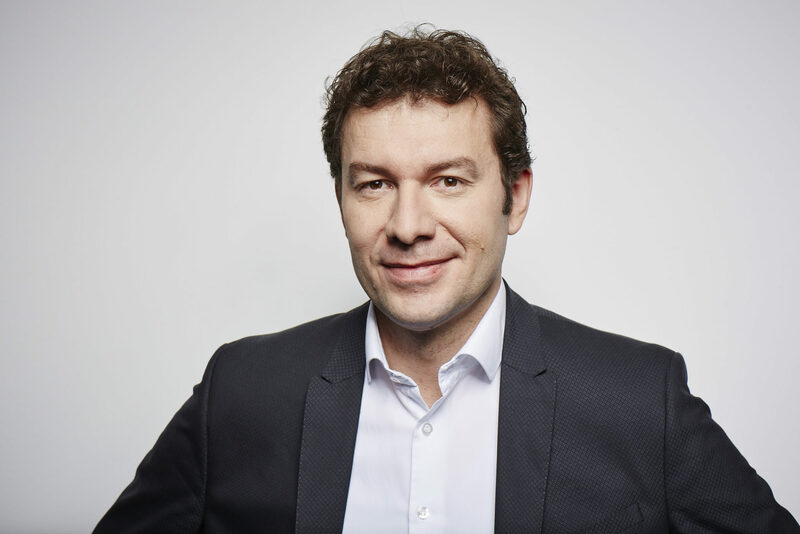 Tim Stracke: We always knew that brands would move into the pre-owned business eventually, but it was a surprise to us earlier this year when François-Henry Bennahmias [Audemars Piguet CEO] first openly talked about it. In the mean time we have met almost all the top CEOs to talk about their view on the market. 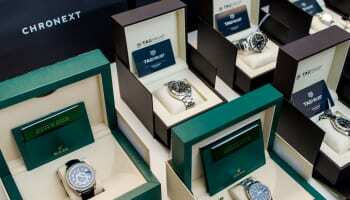 Most brands realise that helping customers to trade-in pre-owned watches often helps to sell a new one. Many of our dealers accept a trade-in on every second watch they sell. Another reason is that labelling watches as pre-owned could be a way to sell overstock at a discount without having to put a discount price tag on the offer. I was always wondering if brands really know what it means and what it really takes to run an outlet that trades in pre-owned watches. We have spoken to many leaders in the industry and most want to do it, but few already know the playbook of how to do it and the consequences it has on the way you manage your business. That’s why I think that the acquisition of Watchfinder by Richemont is a very smart move – to bring somebody in-house that really knows how to do it. WP: Do you think the acquisition of Watchfinder was more about buying expertise and learning how to do pre-owned rather than invest in a business that can quickly be scaled and taken global? Tim Stracke: Probably both. It is a very different business than being a major Swiss watchmaking business. Watch manufacturers are focusing on building global brands and producing excellent hand-crafted timepieces — or watches that feel like they are handmade — and selling them at huge margins. You don’t really need to squeeze out every percentage point out of the process chain because strong margins allow for huge marketing budgets. The success drivers in the pre-owned trading are, in my experience, having access to sellers, implementing highly efficient processes, and knowing exactly how to price a watch. Acquiring pre-owned watches is much harder than selling them. Margins are not that big, so you have to be very efficient. It is not something you can just step in and do, you either need to learn it over several years or acquire the expertise. There are not that many companies like Watchfinder in the market, so it is very smart for Richemont to have moved in for it. WatchFinder is a great and unique business. I deeply congratulate Stuart [Hennell] and Matt [Bowling]. It has been an amazing entrepreneurial journey for them. I am very happy for their outcome, and I am also certain Richemont will be happy with the acquisition short-term, and especially long-term. WP: How has Chrono24 changed since you acquired it in 2009? Tim Stracke: Originally Chrono24 was built on a simple listings model: dealers paid a monthly listing fee to be present on the platform. Very slowly, step-by-step, we improved the product. First, we offered dealers different tiers for listings so that they could better promote their offers. Next, we started charging private sellers, which were able to list for free before. That also helped to clean out the nonsense offers. We also shifted the company from a web focused product to a mobile company. Today around 70% of our traffic is mobile. One feature that users had wanted for a long time was an escrow service, which we introduced in 2014. We also heavily invested in marketing and hired an entire team of 15 native speakers from different countries helping us to generate local content. Ideally, we want our users – buyer and sellers – to feel like Chrono24 is from their own country. Even though we act global we want to be seen as a local platform with local and global offers. Since 2017 we have also started working with brands to sell new watches directly through Chrono24 at full retail pricing in our brand boutique. 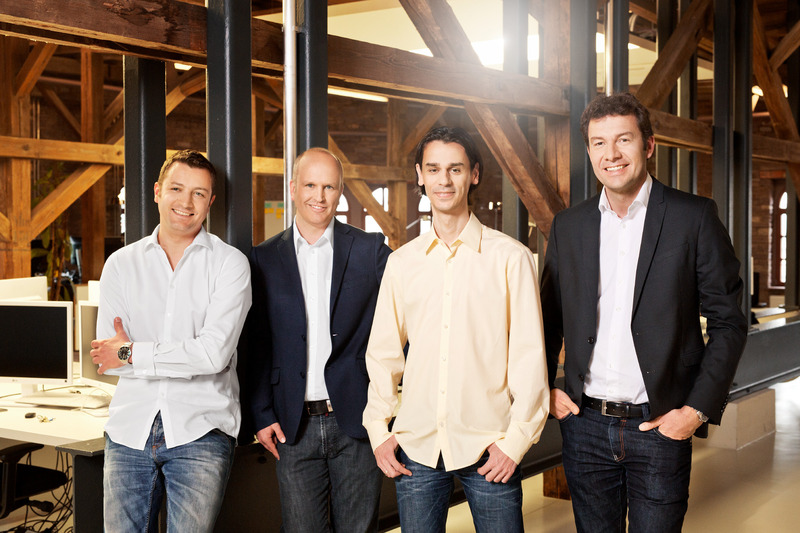 Chrono24’s top team: Sven Himmelsbach, COO, Holger Felgner, co-CEO, Michael Krkoska, CTO & Founder, Tim Stracke, co-CEO & Founder. WP: How was the acceptance of the escrow service? Tim Stracke: To our surprise, we found that comparatively few users took advantage of the escrow service. The good news is this tells us that there was already a considerable level of trust in the platform. The bad news was that, as a revenue stream, it has not worked out as well as we thought. We have since decided to make the escrow service free of charge to the buyers and make it an integral part for every transaction through our platform. WP: Some of the professional dealers that I have spoken to have told me that your listing fees might be too low. Tim Stracke: I don’t get dealers saying that to me too often (laughs). We know that we could charge more but we see our prices as part of a fair partnership that we want to build with a long-term perspective. For us, this is key. We have never been very aggressive in our pricing strategy but when you look at our numbers you will see that we have been running the business slightly profitably, but intentionally without huge profits. Other marketplaces charge 10 times what we do. We try to spend the money we make on marketing, product development and improving our technology and especially customer service. We have never paid any dividends to ourselves or our shareholders; we reinvest everything into the business. That’s how we want to become better in what we do for our customers and partners – both on the dealers’ and on the buyers’ side. Let me give you an example. Our transaction fee for Premium dealers is today only 1.5% and that includes payment and card fees. This is less than what most dealers pay for a credit card alone. And we have brought the buyer as well to the seller and handle the financial transaction. WP: Tell me a bit more about the 2500 professional dealers that work with you. What is the typical business model for them? Tim Stracke: It is a full spectrum. They start with a one-man show who doesn’t have a store front and just deals a few watches part time. They need to be registered businesses, but not necessarily work full time or have employees. The biggest and most professional dealers are businesses like Watchfinder with more than 100 employees. The average dealer runs a small store, his or her own website and a presence on Chrono24. We also have more and more authorised dealers coming to us, and a lot of them are looking to move into pre-owned within their stores, and also buying and selling via Chrono24. We are happy to help and support them. We hear from a lot of authorised dealers that have moved into pre-owned that the pre-owned part of the business becomes bigger than their strongest brand. WP: It is very easy to go onto Chrono24 and find vast amounts of new, unworn watches. Is the majority of that from authorised dealers that could not shift the stock and need to offload it before they buy new watches? Tim Stracke: The majority of watches traded on Chrono24 are vintage and pre-owned. And there are also some dealers that sell overstock from brands or authorised dealers at a discount which is a great for our users. You can also find and buy new watches on Chrono24 directly from the manufacturer at full retail. Our offering is very international, if you include private sellers we deal with around 100 countries. WP: You must have an excellent oversight of what is happening across the global watch landscape, including the primary and secondary market businesses. You have said that the grey market is shrinking, what is your view on why? Tim Stracke: The big manufacturers realised that the grey market, or parallel market business is only a short-term healing of their challenges. It was interesting that in 2015 and 2016, when the market was flooded with grey market watches and prices were incredibly low, our dealers said that people stopped buying if discounts got too big. Either customers thought that they could just wait a couple of months and the watches would get even cheaper, or they thought there must be something wrong with the brand. People love discounts, but they also want price stability. Everybody wants to be the only person getting a discount. Once everybody gets a discount, it no longer feels like a discount. This is what the industry came to understand. Selling into the grey market is like taking drugs. It might feel good in the beginning, but you get addicted very fast and it is hard to get back to a normal life. It is very short sighted and even turns off customers that in the end also prefer price stability once they own the watch. Dealing with over-supply, and creating scarcity, really works from our experience. 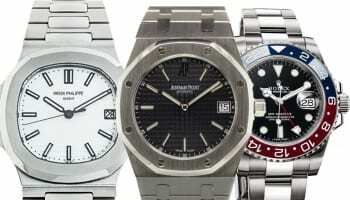 Why does everybody want the Patek Philippe Nautilus or Rolex Daytona in steel? Because nobody can get it. The steel Daytona is being sold at about 30% above full retail price on Chrono24 right now. The current Nautilus trades at 30-40% above retail. This is probably the grey market that all the brands want. WP: You frequently meet with CEOs from the major watch brands. How do you think they view Chrono24 before they arrive here? Are you a disruptor, which the tech industry would see as a very positive description? Are you a saviour of the industry that flushed through thousands of unsold watches from authorised dealers? Are you seen as a potential partner, or as an enemy? Tim Stracke: The attitude of many brands has changed over time. When we first started, most brands would not even reply to our e-mails. Then around five years ago, they started replying to e-mails but merely to thank us for reaching out. Most of them declined any attempts to meet with them. They said they have their own digital platforms and they did not need to talk. About three years ago, they started talking … or let’s say, they started listening, to be more precise. They started replying; they invited us to see them; and they came here. Now they are talking to us – inviting us and coming here and asking questions about how we can help them to reach new customers and keep their prices stable. Brands more and more realise that a liquid pre-owned market makes watches tradeable and therefore valuable. And they know that we want to support them in their effort to provide price stability which is healthy for the entire market in the long-term – it helps buyers who want timepieces that preserve value and brands that want to preserve their image. WP: What do you talk about with executives from the watch brands? Tim Stracke: They are interested in our data. They are interested in our access to a global user base. They know that a lot of people make their purchasing decision after checking Chrono24 and that our platform is used to get an overview on watches the user is interested in. Some users even visit Chrono24 many, many times before they buy. In a store they might only go once, maybe twice. Some of our users visit us 50 times before making a purchase. Within this decision process, it is often not a huge step to go from a Nautilus to a Royal Oak, or from a Speedmaster to a Carrera. And when it comes to that, our data gives us a good knowledge base that enables us to act much more effectively than a well-experienced watch retailer. Imagine if you are a brand and you are able to step into the purchasing process, saying: “I see you are looking at a Speedmaster, here is an interesting offer”. This is a very effective touch point for them. 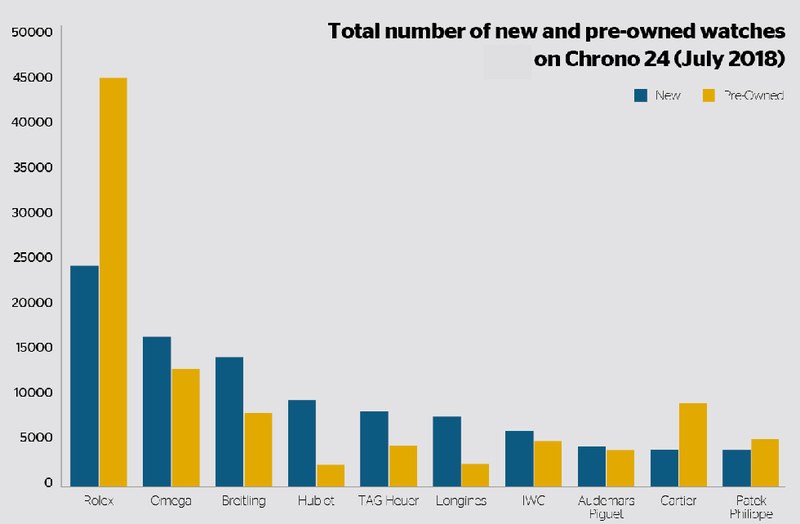 WP: And presumably that intervention might not simply suggest a Speedmaster on Chrono24, it might suggest a deal that a customer can get if they go into the Omega store on Oxford Street in London, for example? Tim Stracke: We can definitely include authorised dealers in that process, especially when users prefer to touch the watch upfront, which is often the case. The brands also realise that we are just the marketplace provider. If they want to manage the grey market, we are probably the best partner they can work with. In the past, some considered Chrono24 to be the root cause of the grey market. Now they realise that we are just the ones that made prices for our users transparent. If brands want to control the grey market, we can help them. We have solutions that work impressively well. It only takes a few months for the grey market price to change once supply is reduced. Also, when you reduce supply to improve the health of prices in the market, you can directly work with Chrono24 to keep those prices stable. WP: Why has it proved so difficult to eradicate the grey market? Tim Stracke: It is a matter of strategy. When I speak to the watch industry CEOs, I ask them how they incentivise their sales teams. Most have bonuses based on revenue, which means that those people will keep pushing watches into the market that might not find customers at full retail. At Chrono24, we do not believe in bonuses at all. Nobody in the company gets bonuses. We strongly believe in inherent motivation. We think people should be motivated by doing a great job, working in a great team, in a great environment and accomplishing great results. Our salespeople take pride in bringing dealers onto the platform. If we were paying them a bonus for every dealer they brought on, maybe they would bring the wrong dealers to the platform. That would not be smart. Within a watch brand, you might have a salesperson responsible for expansion in North America. They serve an account that is taking huge amounts of watches, more than they could ever sell, so it is pretty clear they are feeding the grey market. If the brand’s salesperson gets a bonus based on how many watches they sell, you know they are going to keep on selling to this dealer, even though they know it is creating a problem. It is interesting that the big families: Rolex, Patek Philippe and Audemars Piguet and some of the smaller companies, are doing very well today. The bigger groups have more challenges because there is more pressure on revenue from the stock market. WP: What other data do you see that might be beneficial to the brands? Tim Stracke: Our data can be very helpful to identify current and future trends. Do users shift from 38mm to 41mm? Or back from steel to more gold? That even might be a different answer in Europa, Asia or the US. Through collaborative filtering we can make personalised recommendations – probably in many cases even better than in a store. And this data in the end also helps to better meet the customers’ needs. WP: As a technologist, do you think that the big groups — Swatch, LVMH and Richemont — are using modern technology well enough? Tim Stracke: Richemont acquiring Yoox Net-A-Porter was expensive, but in my opinion smart. It taught Richemont a lot about how online luxury ecommerce works. Acquiring Watchfinder was a very smart move, too. It will be interesting to see what innovations come from the other groups. It seems, at least in the past 2-3 years that Richemont is moving a lot faster in the ecommerce market than Swatch Group. But I am sure that all of them will gain speed. LVMH does a lot of investing in new technology and new markets like China nowadays. But the brands neither have the technology nor the reach that we have developed, to build really deep relations with end-customers world-wide. WP: What do you think about LVMH? I have certainly found Jean-Claude Biver incredibly open to new models and innovations. Tim Stracke: I think Mr Biver, who I have met recently, is very innovative. He knows exactly what is happening in the industry. I perceive him as someone who is driving innovation, who is a proven innovator himself. Imagine if he would still run his own company, maybe he would have already created a digital behemoth in the industry. To me, his entrepreneurial success is probably the most impressive of anybody in the recent history of the watch industry and second to none. WP: Maybe the watch brand to keep an eye on then is Breitling. Georges Kern has flipped from a Luddite about technology, perhaps because he was hamstrung by being part of a larger group, into an evangelist for ecommerce and all things digital. Tim Stracke: Well, of course this is all just assumptions, but I am very optimistic about Breitling. I met Mr Kern a few months ago, and it was a very interesting meeting. I know that many of the long-term fans of Breitling – as of any other big brand – do not like too much change. 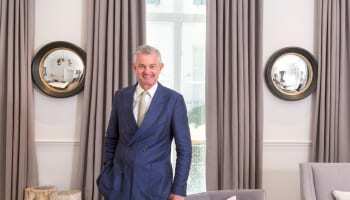 But I think the vision of Breitling will make it hugely successful, and I have not seen anybody else in the watch industry with as much entrepreneurial drive as Mr Kern. I could imagine Breitling or its investors buying another watch brand. I really hope that he doesn’t sell Breitling to one of the groups, but instead remains independent or even creates another group. The chances for that look good to me. WP: What are your plans for the coming 2-3 years? Tim Stracke: We are about to launch an auction channel for dealers on our platform. We have recently started a marketplace for jewellery called Finejewels24.com, because we realised that most of our dealers are selling jewellery as well as watches. We are looking to the US and Asia to expand our brand. We are going to target those markets with better marketing. From the dealer side, we are finalising the development of our dealer app, so that sellers can work through a mobile app similar to the way customers do. This will make it even easier to work with Chrono24 and reach a global user base. WP: The perception in the market is that Chrono24 is not a highly profitable company, and not a cash generating business. That would keep most entrepreneurs awake at night because investors or the banks might lose patience. Tim Stracke: We are generating profits, not a lot and this is by design. We would rather spend our money on becoming better at what we do for people that are interested in buying and selling with us. So we invest in marketing, technology and product innovation rather than paying dividends. WP: What do your investors want? Is there an exit plan? Tim Stracke: First, all our investors, including myself, have a lot of time. We think this business has just started and has a very bright future. Long term, we want to shape the online luxury watch category. We want to be one of a small number of companies that shape the online luxury watch industry. This may take another decade, but it is lot of fun. We are not hugely profitable, yet, but we are profitable, growing very fast and we have quite a lot of cash in the bank. WP: Do you think that an exit for you and your investors is likely to be a public listing or an acquisition? If it were an acquisition, would you expect that to be from private equity or perhaps one of the watch groups or technology groups? Tim Stracke: An acquisition is not an issue right now. An IPO could be an option in the future. WP: If Richemont had decided not to go for Watchfinder, it might have gone for Chrono24. It might have, and still could, acquire both. Tim Stracke: Maybe this statement of yours should rather be commented on by Johann Rupert (smiles). WP: I will make another statement then. 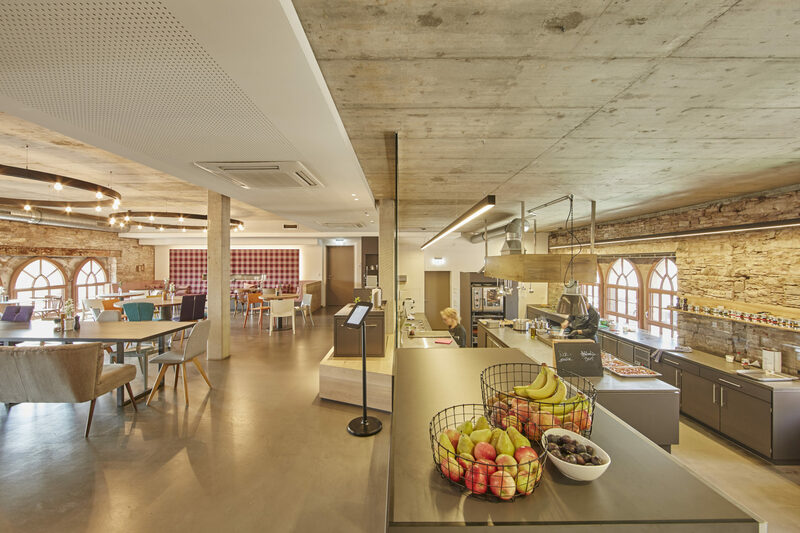 Having come to your office here in Karlsruhe, it is clear to me that you are building a company, a team, and an environment that values its independence. You do not strike me as a CEO or a team that wants to be part of a larger group. Tim Stracke: Interesting observance. Chrono24 is here to stay. We know globally more luxury watch customers than anybody else especially among a younger target group and millennials but also among experienced collectors. We have very rich relationships with them. The brands need to accept that there is a third player in the room now besides manufacturers and dealers. In all my professional life, I have never had as much fun as I am having today. We have the size and position to shape the future of the industry. In the past eight years we have been shaping our business, which was a lot of fun, too, but now we are in a situation where we take our part in shaping the industry. When we make a decision, like going into auctions, that might have an effect on the industry. We might be changing the pricing model for brands. We can decide which brands we allow onto the platform, or not. The decisions we make now will to some degree or another have some impact on the industry, and it will take a lot of effort to take that away from me. And there are of course many ideas we are working on, so I’m confident that the exciting and successful times at and for Chrono24 will continue. How can I return a watch purchase through Chrono24? I’ve tried contacting the seller, with no success. You offer helping with this but I see no action.